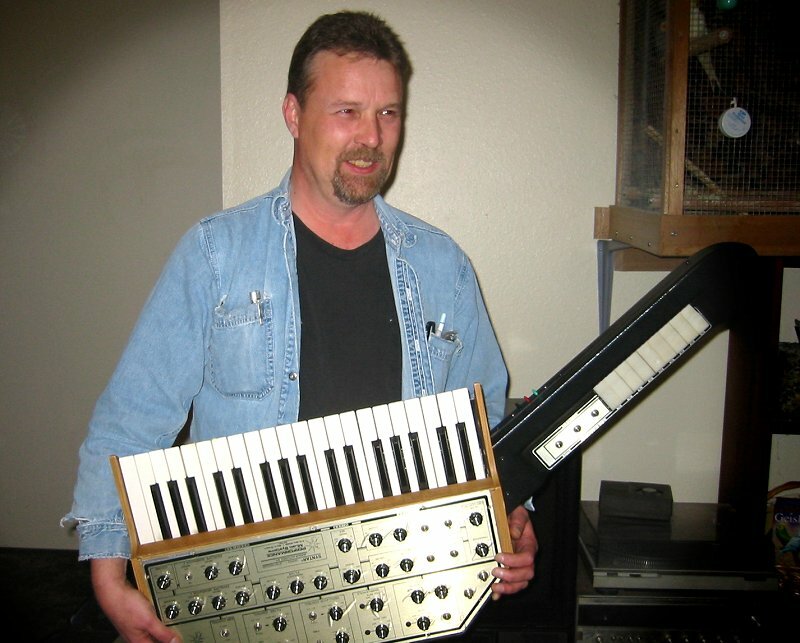 Long before anyone had coined the word "keytar" and before anyone else thought of putting the guts of a synthesizer into a wearable performance keyboard, George Mattson created such an animal and dubbed it the Syntar. 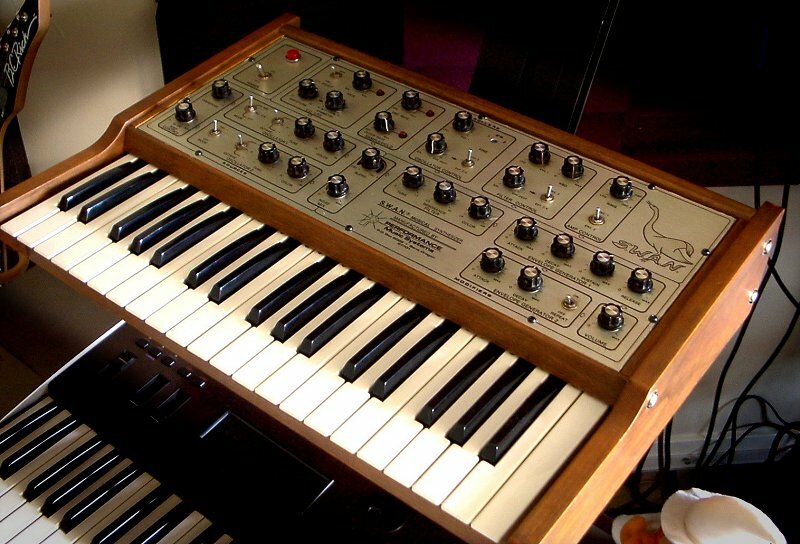 The Syntar was created as a mono lead performance synth that would allow keyboard players to get out from behind their rigs and interact with the audience. This wasn't just a gimmick either, the Syntar has nine(!) spring-loaded continuous controllers on its neck designed to allow the player to continuously change multiple aspects of the timbre of the beast simultaneously in realtime with a minimum of fuss and effort. An extremely expressive design and a rewarding instrument to play! "On October 04 1978 I was alone in the control room running back and forth between the mixing consoles and the keyboards when I thought: "what I need is..." and the concept of the Syntar hit me - I thought "somebody should make one of these" Then I realized: "Hey, I could do it!" "In January '79 I moved to Bend, Oregon and tried to find investors. 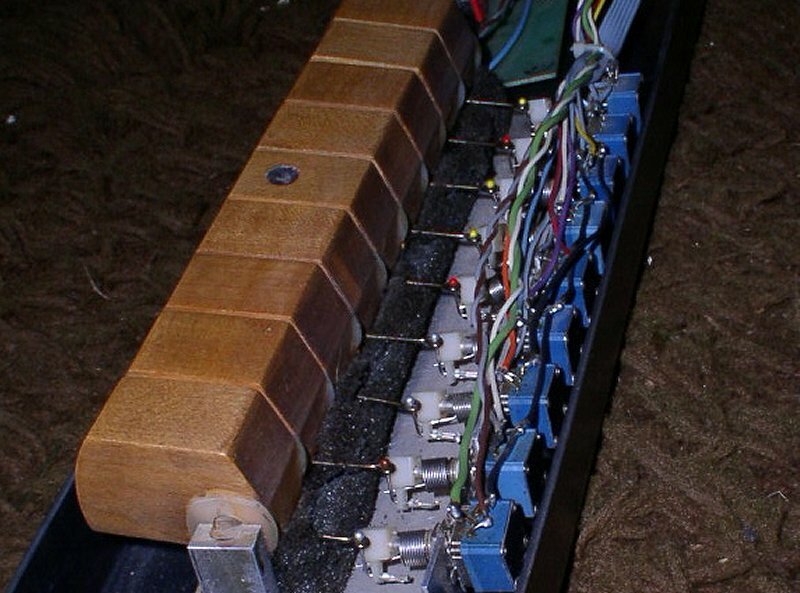 I built a hand-made prototype using raw circuit modules I had contracted EML to build and went to the 1979 Atlanta NAMM tradeshow lugging this thing around trying to get a manufacturer to go for it and hire me as a team leader on the project. 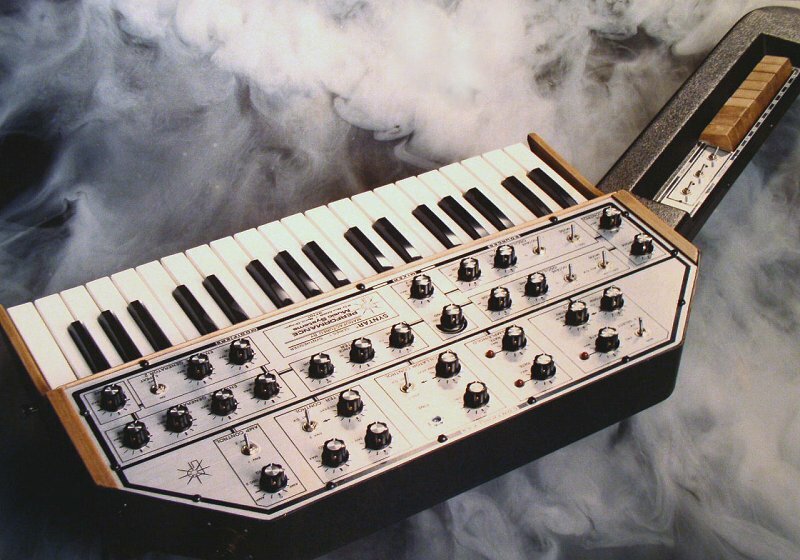 The only person that showed any interest in the Syntar was Herb Deutsch from Norlin (Moogmusic). He gave me his card, said he'd talk to his Board of Directors and call me." 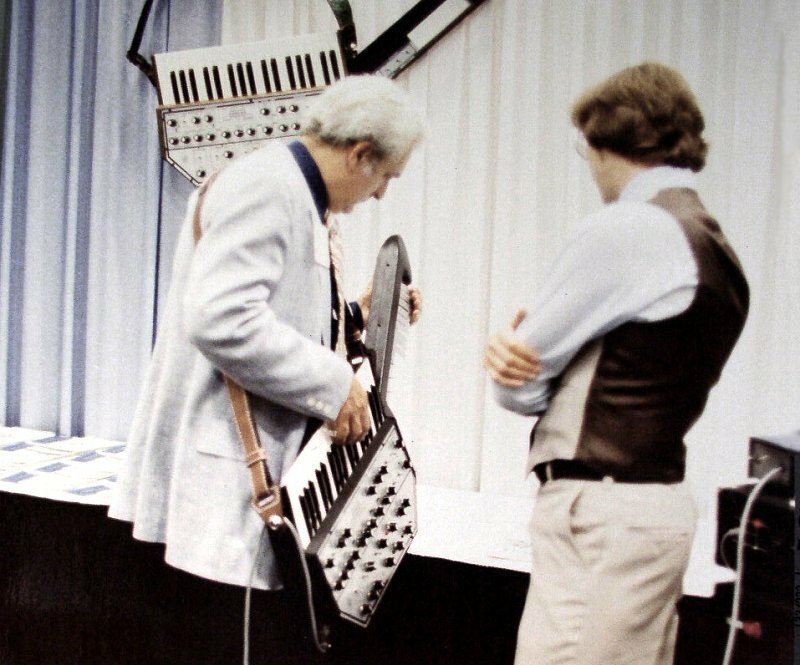 "In Jan '80 I went to the NAMM winter market in Anaheim with Michael Garrison (He landed his distribution agreement with Ariola on the way down) and Mike asked if I had seen the Moog booth. He took me over and we saw the prototype of the Liberation strapped onto a mannequin! I went home devastated. Well, that's the way it went down. Can't change the facts. Of course, I would loved to have made money from all of the work I put into it." "So, I closed it down, called Jefferson Starship, told them I needed a job and was hired on. A year and a half later They wanted me to move to San Francisco rather than flying me back and forth from home. I didn't want my 4.5 and 3 year olds growing up in the California rock and roll scene and moved to Washington State instead in July of 1983." Because of the above mentioned chain of events, only a hanfull of Syntars were ever produced, probably no more than ten. 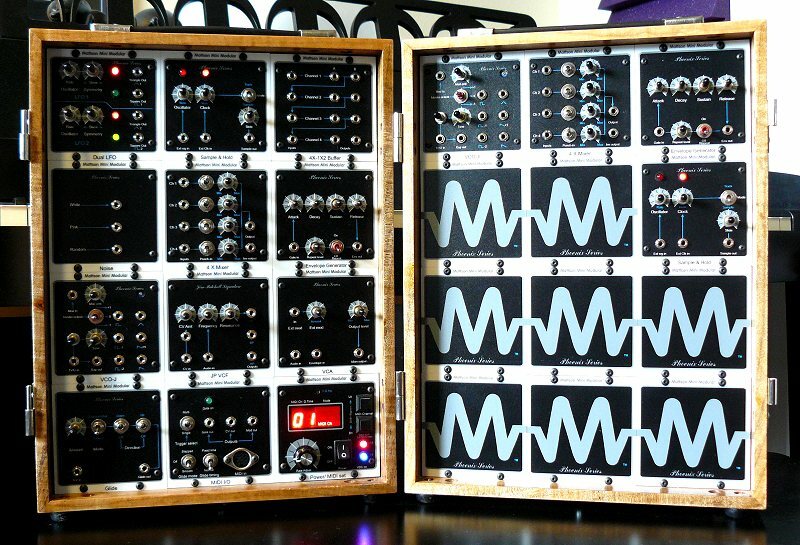 George Mattson is still living in the Pacific Northwest where he's currently developing an extremely portable yet well-featured modular analog synthesizer, the Mattson Mini Modular! The first series of modules, the Phoenix Series are module versions of different parts of the Syntar circuits...with some added features.